Becca on How to enable USB sharing on D-Link DIR-882 AC2600 EXO MU-MIMO Wi-Fi Router? Michael Konson on How to reset D-Link Omna 180 Cam HD DSH-C310 camera back to the factory default settings? I’m posting this in case it helps others with a similar problem getting Apple TV working with DLink routers. Brand new AppleTV3,2 (model A1469) fails to set the date and time after entering the settings for the wireless network. The ADSL2+ modem/router is a D-Link DSL-2890AL. 1.Patch the router with the latest firmware. 2.Enable IPv4 Multicast Streams. After the router has rebooted, click on ADVANCED and then choose ADVANCED NETWORK. Scroll down and turn on ‘Enable IPv4 Multicast Streams’. Do NOT turn on ‘Enable IPv6 Multicast Streams’! 3.Check Firewall settings. Still in ADVANCED, click on FIREWALL SETTINGS. You should see that ‘Enable SPI’ and ‘Enable NAT’ are both turned on. If not, turn them on and click Save Settings. 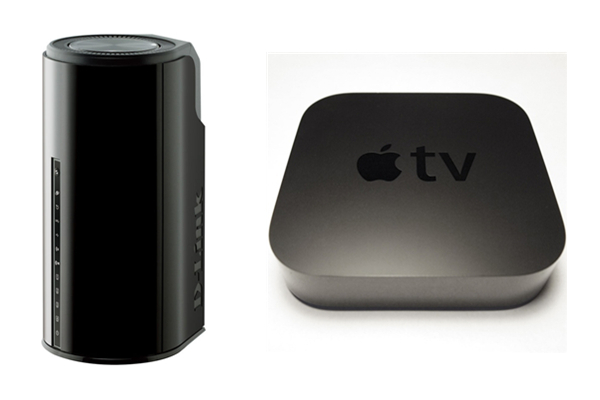 Name: ‘Apple TV 7100’, Trigger: 7100, Firewall: 7100. At this point the Apple TV should connect and get past the never ending wait to set date and time. If not, try rebooting the router one more time.